Children experience all sorts of grief and loss - a death in the family, a divorce, an unexpected move, the loss of a pet. They need ways to acknowledge these losses and they need to be able to express their grief in physical ways. Some children need the activities we consider traditional: they conduct ceremonies or write letters to the people they have lost. Other children, overflowing with the anger that is a natural part of grief, need to pound, punch, run and jump. Still others want to express their grief through art. This book provides dozens of activities that help bereaved children. The author explains the value of each activity so that parents and caregivers can select appropriate projects based on the child's age, kind of loss and stage in the grieving process. She also discusses how learning about grief prepares children for new relationships and to accept losses later in life. Parent's relationships greatly influence one's core beliefs about marriage as an institution. This guide teaches the adult children of divorced parents, how to identify their inherited distrust of relationships and develop, in their own lives, fulfilling and lasting partnerships of their own. With this guide, readers learn that the effects of divorce are neither permanent nor defining. They find out how to evaluate the level of dysfunction that brought about their parents' divorce. By working through this book, readers will master healthy boundary-setting skills and communication techniques. By letting go of guilt, pain, and anger, they find out how to forgive their parents, and in doing so, discover new ways of enriching their own relationships. It's over. The divorce is final, he's out of your house and mostly out of your life. Now what? Are you ready to get on with your life? Do you have dreams, plans, skills, energy for what comes next? And will you be making it happen, or letting it happen? MacGregor and Alberti have prepared a friendly, straightforward manual of advice and suggestions that assumes every woman is capable of handling life on her own. Helps for emotional recovery (MacGregor is a survivor, Alberti is a psychologist), practical matters (credit, home repairs), dealing with your ex (be assertive! ), helping your children to cope (we didn't divorce you! ), and much more. Katie is angry, sad, and afraid her daddy will never come back when he moves out of the house when her parents divorce. But on Saturdays he is there, and Katie comes to understand that even though her parents won't be together, they still love her and will always be her parents. Learn to navigate hot spots of hostility and conflict around communication, visitation, extraxurricular activities, holidays, and new partners. This is a real toolkit, packed with fresh new strategies plus advanced versions of some time-tested solutions taken from its partner, Mom's House, Dad's House. All about divorce for pre-school to about 8 year olds. Divorce words and their meanings, why parents divorce and how it affects kids, after divorce, visiting parents, two homes, telling friends, etc. Divorce is tough on kids. This down-to-earth guide genuinely helps. Included are discussions of many topics troubling kids when their parents divorce: reasons parents get divorced; ways the divorce will change kids' lives; kids' feelings about divorce; things kids can do to help them feel better (and reassurance that they are not to blame); who to talk to; and what's likely to happen next. This isn't just a book about divorce, but about life after divorce; visitation, custody, straddling two households, and making it all work. This warm and friendly guide offers a helping hand to teens struggling to answer the tough questions when their parents divorce: Why do parents get divorced? How will the divorce change our lives? What can I do to feel less depressed? Whom can I talk with about my problems? What's likely to happen next? How do you tell absent parents that they don't visit often enough? How do you say "no" to parents who want you to carry messages to, or spy on, the other parent? What is there to talk about when you visit a parent who's moved away?Packed with vignettes, strategies, and solid advice, The Divorce Helpbook for Teens is a resource teens will keep in their backpacks, on their bedside tables, and in their hearts as they go through the difficult times surrounding a family breakup. 40 simple, fun activities to teach kids to stay out of the middle of parental problems, communicate their needs, and cope better with stress and change. Updated to include the latest research, laws, and terminology, this edition coaches parents on what to expect during divorce and how to act in their children's best interest. Guides parents on how to successfully and positively navigate every aspect of the divorce, custody, and co-parenting process. A well thought out and surprisingly thorough book about dealing with a breakup. This book deals with how to survive after a breakup and how to thrive and find love again. With chapters on learning new boundaries and how to tell the kids, Elliot has covered topics that most books of this genre ignore outright. Chapter 2, The Rules of Disengagement, are a must-read for anyone who has ever suffered a bad breakup, particularly the list of items that keep folks stuck in their grief - most notably the concept of needing closure after a failed relationship. A realistic portrayal of a little girl's love for her absent father and her disappointment at being "stood up" by him. Phoebe's mother helps her realize that she can cope with being disappointed by someone she loves after he cancels his visit with her. The author explores the history and biblical principles surrounding divorce and remarriage, suggesting that some traditional interpretations are influenced by culture. He offers to help couples grow and to gain a deeper understanding of the meaning of marriage. When a child's parents tell her they have decided to divorce, the last thing she wants to do is talk about it. With her parents' help, she learns that while some things will change, many other things, especially their love for her, will remain the same. Parenting is difficult enough in a family where the two parents love and respect each other. In divorce, where the respect has diminished and the love has often turned into intense dislike, co-parenting cane drive on or both parents to the brink of insanity. "Joint Custody with a Jerk "offers many proven communication techniques that will help you deal with your difficult ex-husband or ex-wife by describing examples of common problems and teaching you to examine your role in these sticky situations. These strategies for effective mediation are easy to apply, down-to-earth, and innovative. My mum and dad don't live together any more so sometimes I live with my mum and sometimes with my dad. For children and parents who are managing life in a separated family - Love is a special and growing thing. It is a little bit like a tree – a special magical tree – that you can climb up into, nest comfortably in its big branches, and safely watch the world go by. Love can come in different shapes and sizes. Like a tree, love can grow and grow…. This is another book in the BIG HUG series, an Australian series, written by a clinical and forensic psychologist. Supports the child and the parent so they can bounce back from disappointment, stress and major changes. There are frank answers, stories, tips, lists, ways to "train your brain", and maps for marking family progress. Children will be relieved to see their thoughts and experiences affirmed in words. This book does more than help kids cope, it is the wise, upbeat, and inspiring guide that children and parents will refer to again and again. This unusual picture book for younger children explores the issue of divorce. The fears, worries, and questions that boys and girls face when their family goes through this difficult period of breaking up are explained in terms children will readily understand. In this book the author offers a workbook for teens to help them flush out their feelings and fears over their parents? divorce or separation. The author's own parents divorced when she was eleven, and she writes with a style that teens can easily relate to without feeling talked down to. If you are going through a painful breakup or divorce, you may feel like the life you once knew is crashing down around you. You need help to gather the pieces and rebuild yourself from the ground up. Rebuilding features divorce process rebuilding blocks, a proven-effective, nineteen-step process for putting one s life back together after divorce, devised by Fisher. Now the most widely-used approach to divorce recovery, the rebuilding model makes the process healthier and less traumatic for those who are divorcing or divorced and their children. Over two decades of research and practice are combined with feedback from hundreds of thousands of men and women who have used the book on their own, or in one of thousands of Fisher divorce recovery seminars worldwide. This book also includes Fisher s detailed Healing Separation model the first of its kind to offer couples a healing alternative to the usual slide from separation to divorce. This fourth edition, revised with the assistance of psychologist and marriage and family therapist Robert Alberti, continues Bruce s tradition of straight-to-the-heart response to the needs of his clients and readers. If you ve been struggling to rebuild your life after a divorce, this book offers just the right balance of shoulder-to-cry-on and kick-in-the-pants self-help! Shows how shared parenting can work after separation and how both parents can maintain meaningful relationships with their children. Provides advice to children of divorced parents on living in two homes simultaneously, including how to organize during moves, managing different lifestyles, and coping with the emotional stress of separation. Addison's parents are going through a divorce, but he knows that no matter what happens, his parents will always love him. 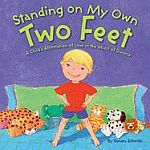 The inspiring, gentle, and uplifting text teaches kids that having two homes to live in can be just as great as having two strong feet to stand on. Written by a professional divorce mediator and coach, Stronger Day by Day offers daily reflections and insights readers can turn to as they navigate through this emotionally turbulent time. Chapters focus on common stages and feelings that people undergoing divorce experience, including grief, resistance to change, and confusion. Regaining control, building strength and confidence and securing a financial future. This reassuring classic for younger children which addresses separation and divorce and helps kids embrace even the most difficult of changes is now in paperback. Full color. This book explains in lucid and engaging detail the turning points in intimate relationships showing that there are basic similar patterns. The authors extensive use of interviews of both straight and gay couples, married and live-ins, makes her book lively and interesting. This age-appropriate book helps children understand that divorce is about grown-up problems, while getting comforting answers to their most pressing questions. Children Can Learn to Cope with Grief from Divorce. 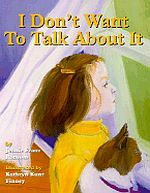 With notes for adults, these books are written to help children understand the many feelings children have about divorce. The book is designed to be illustrated by children, who need just to draw line shapes and perhaps a few words to tell some things about the changes that are happening. Young children become confused and hurt when their parents constantly argue, then decide to divorce. This sensitively written book assures boys and girls that children are in no way responsible for their parents' inability to get along together. It lets kids know that although one parent chooses to move away from the home, both parents continue to love their little boy or girl. Both Mum and Dad will continue to spend happy times with them. "I used to think it was my fault that my parents weren't friends any longer ... but now I understand that they can get along better if they each live in a different house. A little boy who blames himself for his mother's disappearance receives reassurance from his toy soldier. Includes note to parents and caregivers on ways to help children who are experiencing abandonment. Copyright © 2019, Peoplemaking. Page dynamically created on April 20th, 2019, in 0.005 secs.